Looking for an honest politician in the contemporary Philippines is like searching for an imaginary flower in a garden of contradiction. Candidates in the upcoming midterm elections are displaying their messianic qualities to the public – carrying torches to shed light on societal problems and the unending promises of genuine change. Amid the height of certificate of candidacy filings, the same names are emerging, each with their own record of incompetence, which leads to the perennial question: How come Filipinos continue to choose incompetent and corrupt leaders? 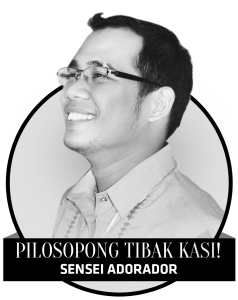 The issue of selecting incompetent and corrupt leaders can be traced back to the cultural perspective of the Filipino people, which correlates with their poverty of reason. Sweet words and charisma appear to easily persuade Filipinos but being honest has nothing to do with trustworthiness; an ability to address basic needs should be used to win trust. Unfortunately, in the voters’ dire need for money and a lack of information, they gamble their future in exchange of prosperity for one day. This is the manifestation of “Bahala na (Come what may).” Instead of doing something to instill change, voters leave it to “whatever” might happen. Politicians play to the inherent desire of the masses – livelihood. Legislators use their pork barrel funding to provide employment for a poor community and assist low-income households. Through this act, they can win the confidence of around one out of three people (even if they pocket half the budget). In terms of local government units (LGUs), politicians provide entitlements and temporary jobs through kickbacks from LGU budgets and the internal revenue allotment, resulting in another graft-ridden slush fund. This pattern, masquerading as a love for the people, develops trust among underprivileged populations. People value jobs and basic needs or are easily impressed by speeches and vanity projects. This strategy creates an unquestionable loyalty, where voters believe that lawmaker will uplift their lives. Corrupt and incompetent politician also receive support because of faith. Every election, politicians seek assistance from religious groups and, once the highest church leader endorses a politician, their congregation becomes a voting bloc. For religious leaders, the decision to vote for a certain individual is God’s mandate; in this case, Sigmund Freud was right, religion is somehow a collective neurosis. Affiliations can catapult a politician’s status. Senatorial candidates linked to specific provinces typically receive support from those residents because they are expecting the official will help them – forgetting senators should be selected based on who can help the entire nation and not just their province. Aside from a socio-anthropological aspect, corrupt politicians gain support by tapping into entities people believe in by using the media. Critical theorists formed an idea called the culture of industry, where the media plays a vital role in the significant dissemination of culture. Today, the media has become a powerful distributor of mass culture; however, the impact is for more insidious. Under the administration of President Rodrigo Duterte, media has become a powerful propaganda tool. Trolls dominate social media; state-run broadcaster, the People’s Television Network, is the premier source for government news; and political program Karambola sa DWIZ has become a mouthpiece for Malacañang. Culture can dominate in various ways. With the advent of media as a “culture bender,” the media can “narcotize” the masses – as Karl Marx put it, the “opiate of the masses.” Politicians perpetuate the public’s fixation with media, resulting in little time for critical thinking and revolutionary action. It’s the very reason why so few participate in rallies and remain silent as graft and corruption continue to run rampant.